Mold Remediation is much more than just cleaning up the appearance of mold.The purpose of the remediation process is to eliminate the mold and fungal growth and to remove contaminated materials. As a general rule, simply killing the mold with a bleach or biocide is not enough. The mold must be completely removed since the chemicals and proteins which cause a reaction in humans are still present even in dead or dormant mold. Proper containment and removal of mold growth is essential in preventing further spread and contaminating the air with mold spores or toxins. We can assure you that if you choose to hire Single Source’s air quality division, Clean Air of America, to perform your mold remediation, it will be done in the most professional, non-intrusive, most cost-effective way possible. Frequently, the two best senses in determining a mold problem are your eyes and nose. However, some of the most dangerous microbes often flourish in areas behind walls, under insulation, crawlspaces, attics, etc. Assessing a mold contamination through lab testing is a good idea and we recommend you use an environmental specialist or inspection form. Single Source utilizes new technologies for performing mold remediation such as Thermal imaging cameras, wall cavity scopes, dry-ice blasting, and ozone treatments to eliminate odor and bacteria. Determining the cause of your mold infestation is key to preventing reoccurrence. Once the moisture source is identified and controlled, our system of containment, removal techniques and analysis will be shared with you. In most cases, a containment area will be established using impermeable plastic barriers and utilizing negative air pressure to contain spores. The HVAC system will be isolated if necessary. 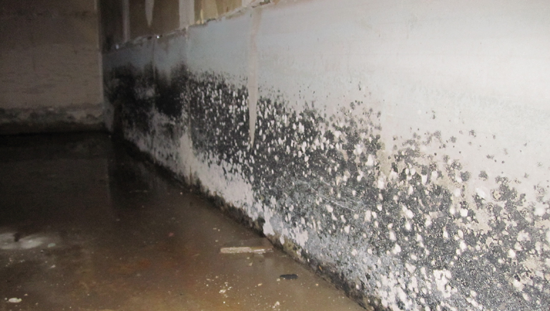 Proper disposition of the mold is determined by its location and the specific materials it has colonized. Removing the mold includes several options; wet washing, wire brushing, HEPA vacuuming to name a few. In some cases, complete removal of infected materials is mandatory (ie. drywall). Once cleaned an area may require the application of biocides, based on written industry protocol. Post-treatment air quality testing will be done to determine if airborne mold spores were detected in the evaluation phase. If you suspect there is mold in your home, please contact us for a free consultation. To expedite the consultation process, it would be extremely helpful if you could upload pictures/images of the areas of concern via our contact form.